HOLLYWOOD, FLORIDA (USA). Pathology Consultants of South Broward, a private group of 24 Pathologists provides Anatomic and Clinical Pathology services for the Memorial Healthcare System. We are located in a highly desirable position on the Atlantic Ocean between Miami and Fort Lauderdale. The Memorial Healthcare System has over 2,000 beds and is a major Cancer Institute, as well as Cardiovascular and Cardiac/Renal Transplant Center. The system includes Joe DiMaggio Children’s Hospital, the largest free standing children’s hospital in South Florida, among its seven campuses. We have an immediate opening for an outstanding Pathologist, board certified/eligible in Hematopathology, to expand our current Team of 4 full-time Hematopathologists. Additional Board Certification, fellowship training, and/or experience in Molecular Genetic Pathology is highly desirable. The rapidly growing MHS Hematology Oncology program, the Moffitt autologous and allogeneic Bone Marrow Transplant center at Memorial, as well as in-house Medical Hematology services including advanced diagnostics for coagulopathies requires an additional very high level Hematopathologist. Memorial Healthcare System reviews a large variety of diagnostically fascinating cases daily. The MHS Hematopathology program is a dedicated service within the Pathology Department, the other dedicated Pathology services including Pediatric, Placental, Medical Renal, Cardiac Transplant, Clinical Laboratory (overseen with the assistance of PhD experts in Clinical Chemistry/Core Laboratory and Microbiology/Molecular Infectious Disease), and Molecular Genetic Pathology. HOLLYWOOD, FLORIDA (USA). Large private Pathology practice located between Miami and Fort Lauderdale is seeking a dedicated Clinical and Molecular Genetic Pathologist to support growth in our MGP Laboratory. American Board of Pathology Certification in AP/CP or CP, with ABP/ABMG Board Certification/Eligibility in Molecular Genetic Pathology required. In addition to NGS and other molecular genetic testing / sign-outs, the MGP Pathologist will participate in oversight and direction of the District Clinical Laboratories and PhD Clinical Scientists - currently Clin Chem/Core Lab (DABCC), Microbiology/Molecular Infectious Diseases (DABMM). Coverage of Transfusion Medicine and Hematology are provided by separate dedicated Transfusion Medicine (MD; ABP CP/BB-TM) and Heme/Flow Medical Directors (MD PhD; ABP AP/CP/Heme; PhD Genetics). The ideal candidate will be a creative problem solver with background training in molecular biology and/or genomics, and would be open to and willing to learn new skills to keep up with the demands of the fast paced field of Molecular Genetic Pathology. Interest or any level of experience in bioinformatics or programming (R, Python or any language) and data analytics will be highly valued. This candidate should demonstrate Leadership abilities, excellent organizational, interpersonal and communication skills, and will work closely with Clinicians, Technical Staff, Lab Administration, and Pathologists in addressing the Clinical Pathology and Medical Genetics testing needs of our patients. We are an entirely hospital-based practice, providing exclusive services for a 6 campus Healthcare System that includes a dedicated Pediatric Hospital. The system provides tertiary and quaternary service lines including Transplant services - Bone Marrow (auto and allogeneic), Adult and Pediatric Heart, and Renal - Level I Trauma Center, Level III Nurseries, Specialty Oncology, Neuro, Cardiac, Vascular, Endocrine, Immunology, GI, ID, Renal, GYN, Obstetrics (12K annual deliveries), Surgical, and Rehab services. HONOLULU, HAWAII (USA). The Hawaii Permanente Medical Group, Inc. is seeking a BC/ BE Anatomic and Clinical Pathologist to join its Pathology Department at the Kaiser Permanente Moanalua Medical Center in Honolulu, HI. This is an exceptional opportunity, with a focus on AP Pathology to practice in a collaborative, innovative, and fully integrated health system with 6 pathologists. The minimum requirement is Board Certification or Board Eligibility in Anatomic & Clinical Pathology. Subspecialty training or board certification in Surgical, Gynecologic or Molecular Pathology is highly desirable. BETHESDA, MARYLAND (USA). The Uniformed Services University of the Health Sciences (USU) is the Nation's Federal Health Sciences University and is committed to excellence in military medicine and public health during peace and war. USUHS services the uniformed services and the Nation as an outstanding academic health sciences center with a worldwide perspective for education research service, and consultation and uniquely relates these activities to military medicine, disaster medicine and military medical readiness. The Department of Pathology (PAT), invites applicants to apply for the position of Assistant, Associate or Full Professor (tenure eligible track). The Department of Pathology is responsible for teaching medical students Pathology in the classroom and in clinical settings; continuing education courses in University sponsored programs; and for ensuring unity of effort between the National Capital Region Academic Health System Pathology components comprised of the Department of Pathology at the Uniformed Services University of the Health Sciences, clinical activities with the Pathology Department of Walter Reed National Military Medical Center (WRNMMC), and the Joint Pathology Center (JPC). Minimum Qualifications: The incumbent must bring to this position a minimum of an earned doctorate (Ph.D., M.D., or equivalent doctorate degree) in a health-related field from an accredited institution. The clinical role of this position must be supported by a license to practice medicine and successful completion of the AP and/or CP residency training and certification by the American Board of Pathology with subspecialty training in and board-certification or eligibility for examination by the American Board of Pathology in Molecular Genetic Pathology for M.D. or MD/PhD applicants; or American Board of Medical Genetics and Genomics certification in Laboratory Genetics and Genomics, or equivalent for M.D. or Ph.D. applicants. U.S. citizenship is required. LAKE SUCCESS, NEW YORK (USA). ProHEALTH is one of the largest private multi-specialty medical practices in the Northeast and has been serving the health needs of Long Island, the Greater New York Metropolitan area, and New Jersey since 1997. With over 900 providers in 300 locations, our goal is to provide quality health care to ensure that our patients get the right care at the right time. We’re a dynamic and growing health care organization, offering a wide range of employment opportunities. We are seeking professional and dedicated individuals to be part of our team, where integrity, compassion, relationships, innovation and performance are among our core principles. We offer our employees competitive compensation and benefits, flexibility and opportunity for growth and advancement. The Department of Pathology & Laboratory Medicine at ProHEALTH is currently undergoing significant growth, expansion, and opportunity. We are seeking an individual with general pathology experience - various fellowship experiences including but not limited to hematopathology, molecular genetic pathology, and surgical pathology will be considered. 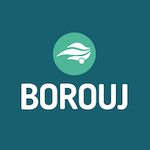 A general pathologist who is willing to signout and provide service in select areas of general anatomic and clinical pathology and collaborate with senior laboratory administration in quality management. This position will be based in Lake Success, NY. NEW YORK, NEW YORK (USA). New York University Langone Health is recruiting an academically oriented AP/CP or AP Board-Certified Pathologist with subspecialty certification in Hematology and Molecular Pathology at the assistant/associate professor level. Outstanding expertise in the interpretation of lymph node, bone marrow aspirates, biopsies and diagnostic flow cytometry is essential. Experience in liquid tumor focused NGS assays including general analytical testing, test method development, and validation is also required. Certification/eligibility for Certification by the New York State Department of Health (COQ) in Molecular Pathology is desirable. NY State Licensure is required. Salary and rank will commensurate with experience. Further information about our department can be found at our website, pathology.med.nyu.edu. NYU is an affirmative action/equal opportunity employer. CLEVELAND, OHIO (USA). The Department of Pathology of UHCMC/CWRU in Cleveland, OH, seeks an academic molecular pathologist to join our growing Genomic and Molecular Pathology Division focused on cutting-edge and innovative molecular diagnostics. This is an exciting opportunity for a dynamic candidate with interests and expertise in the application of NGS, cytogenetic, and/or genome-wide array-based approaches to work collaboratively with other clinicians and a talented team of bioinformaticians to innovate and implement genomic testing to improve patient care. The Genomic and Molecular Pathology Division serves the diagnostic needs of Seidman Cancer Center and Rainbow Babies & Children's Hospital, as well as UHCMC and the large network of community hospitals and physician practices of UH. The successful candidate will participate in teaching, research activities, and clinical activities involving the design, implementation, review, interpretation and sign-out of molecular tests, which currently include somatic NGS sequencing panels, novel NGS-based microbiology and minimal residual assays, microarray, and analysis of constitutional and neoplastic chromosomes. Involvement in clinical, translational, or basic research will be encouraged and supported. Candidates must hold an MD, PhD, or MD-PhD degree. MD and MD-PhD candidates must be board-certified/eligible in Molecular Genetic Pathology and must be qualified for an unrestricted medical license in Ohio. PhD candidates will have completed both ABMGG certification in Clinical Molecular Genetics & Genomics and Clinical Cytogenetics & Genomics. Practical experience in sign-out and development of NGS testing is preferred. Academic rank and salary will be commensurate with qualifications and experience. Send curriculum vitae, a statement of career goals and names of three references to Denise Davis at denise.davis2@uhhospitals.org. University Hospitals and Case Western Reserve University are committed to Equal Opportunity and Diversity. Women, veterans, members of underrepresented minority groups, and individuals with disabilities are encouraged to apply. MEMPHIS, TENNESSEE (USA). 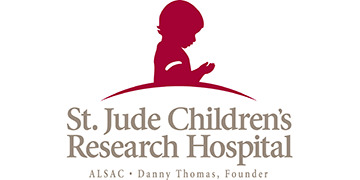 St. Jude Children's Research Hospital is one of the world's premier centers for the research and treatment of pediatric cancer and other catastrophic childhood diseases. St. Jude is the only pediatric cancer center to be designated as a Comprehensive Cancer Center by the National Cancer Institute. Children from all around the world come to St. Jude for treatment, and have benefited from the research we conduct. Hematopathologist: We are seeking a hematopathologist with skills in histopathology, cytology, flow cytometry, and molecular pathology - as it applies to hematopathology - and a record of scholarly achievements, board certification in AP or AP/CP, and board certification (or eligibility) in Hematology. The position is on the 'Clinician' faculty track, with 75% effort devoted to clinical service. The appointee will be affiliated with the Hematologic Malignancies Program, within which there will be opportunities for collaborative research. 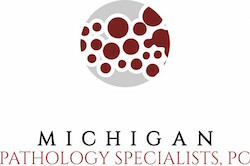 Molecular Pathologist: We are seeking a molecular pathologist with a record of scholarly achievements and certification with the American Board of Pathology or the American Board of Medical Genetics and Genomics. The position is on the 'Clinician' track, with 75% effort devoted to clinical service. The remaining 25% will offer opportunities for collaborative research. Following the success of the Pediatric Cancer Genome Project, the pathology department developed a genomics laboratory to run whole genome, transcriptome, and exome sequencing. St. Jude Children's Research Hospital is an equal opportunity employer. SALT LAKE CITY, UTAH (USA). The University of Utah Department of Pathology is recruiting a full-time Faculty Molecular Oncologist in our solid tumor section, to be primarily based at ARUP Laboratories, and at the rank of Assistant Professor, Associate Professor or Professor in either the clinical or tenure track, depending on the qualifications of the candidate. Expertise in digital imaging or computational pathology are of interest but not required. Appropriate individuals should have M.D. or M.D., Ph.D. degrees and be board certified in Anatomic Pathology and Molecular Genetic Pathology (or eligible for certification in Molecular Genetic Pathology) by the American Board of Pathology. Applicants should submit electronically to, http://utah.peopleadmin.com/postings/84010 a curriculum vitae, a brief cover letter, and the names and addresses of three references.